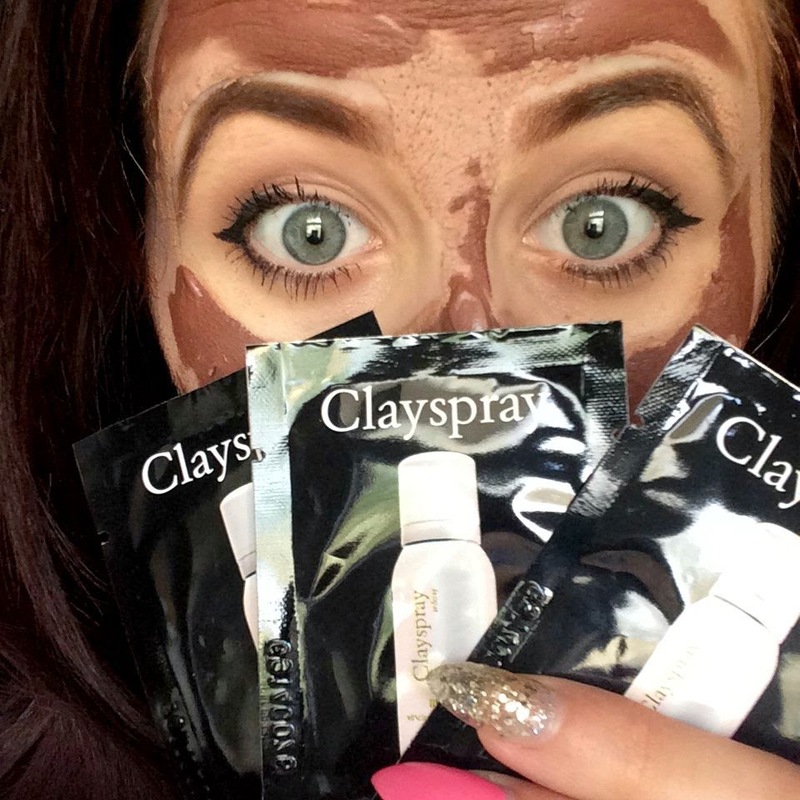 I was recently contacted by a PR Company asking me if i would like to sample Clayspray. It was something i had never heard of before so they sent me a press release with more information explaining what the product was. After reading this i was excited to try the face mask. I was asked what type of skin i have as they sell different ones for different skin types which i found was a good idea as i had never come across a face mask for a specific skin type. I advised i have very oily skin with slight blemishes. I later received 4 samples of Red Clay Mineral Treatment Masque which is aimed at my skin type. I really didn't know what to expect as i have tried many face masks which most irritate my skin. I washed and exfoliated as normal and then applied the mask. The sample sachets were quite small so i thought i may have needed more than one to cover my whole face but to my suprise one sachet covered my whole face and i was even able to add more onto those more oily areas. On application i went about spreading it across my face as you would a normal face mask, the texture was a little thicker than your average mask which i expected with it being clay. I did notice i had to spread it quickly as it did start to dry seconds after applying. Once i covered my whole face it was a dark brown colour. I decided to leave the mask on for around 25 minutes. 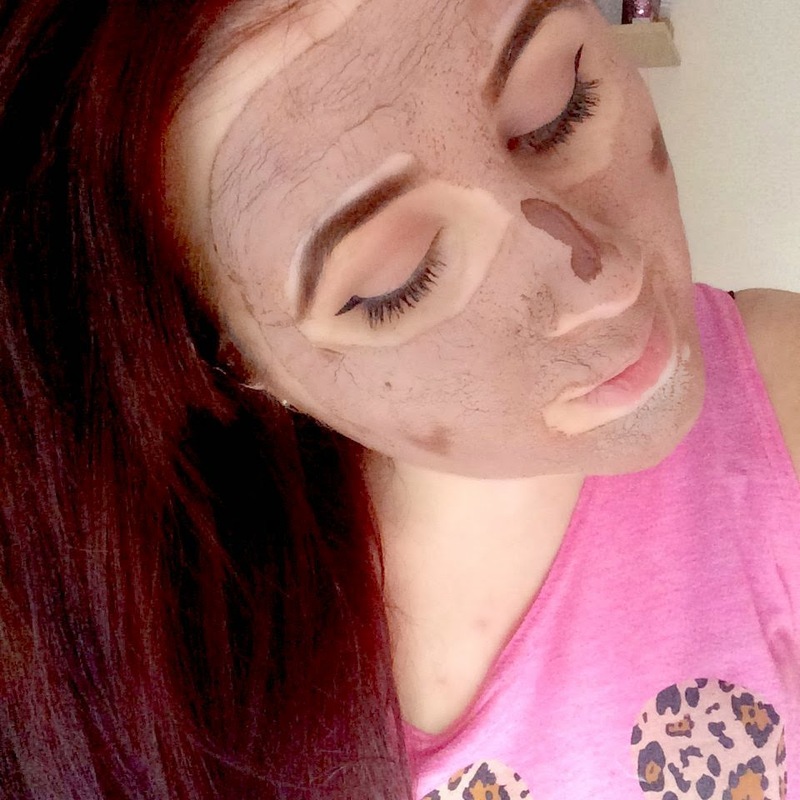 Very quickly i noticed the mask literally turning to clay on my face and turning into a light brown mask. I was amazed at how quickly it dried and tightened on my skin. It tightened more than any other face mask i have tried but yet it still felt really comfortable to wear. I was dreading having to try and clean it off as it felt rock hard and i expected to have to scrub like mad. I have to say i was amazed again, all i had to do was damp my skin and it turned back into the moist mask you applied in the beginning. It was so easy to wash off with basic warm water, i couldn't believe it! Well my skin felt baby smooth and instantly looked refreshed and healthier. There was no irritation which was a bonus. I have used the mask again since and noticed my skin looking alot more alive! I am so impressed with this mask. I also got my mum to try the mask who has similar skin to me. She agreed and fell in love with the mask. She also couldn't believe at how easy it was to take off. To buy normally it comes in a 50g Bottle which retails at £25.00. It sounds alot but you get a good size bottle and i only needed a small amount to cover my whole face. Doing this twice a week, i could see the bottle lasting quite a long time. 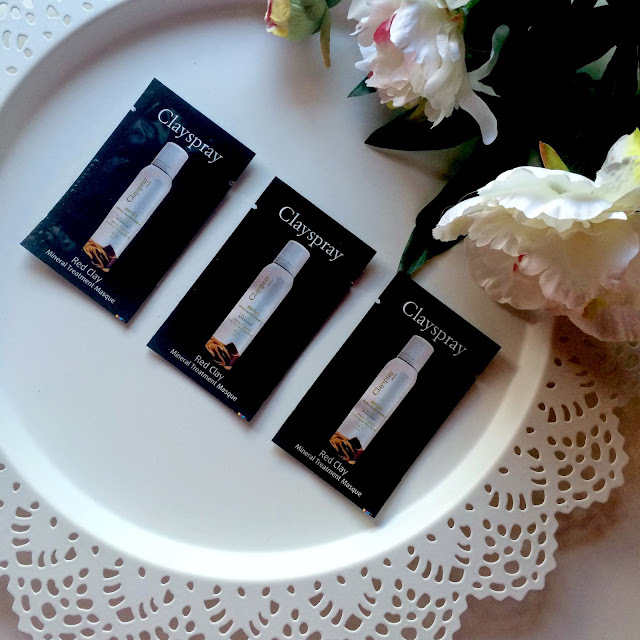 Clayspray advertises to see visible results of improvement in your skin within just two weeks. I noticed a difference after just one use! Sounds like a really great product. I am such a fan of face masks (although I generally forget to do them!) and clay ones are my favorite! Love your blog :) I am originally from Lancaster too! These look amazing! It's great that they have so many for different skin types, it's so annoying when something says 'for all skin types' because you know it's not going to be catered for specific skin needs. I love face masks, especially when they make my skin feel baby soft! I use one that's much thinner and when it dries, you just peel it off. This one looks better because it looks like a real mud mask so it looks like it may work better than the one I use too!